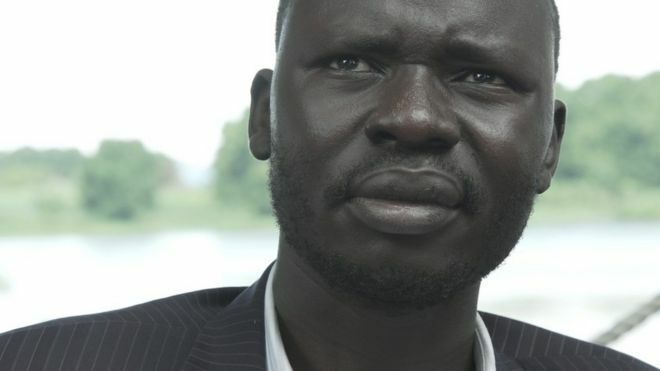 A Cambridge University student facing the death penalty in South Sudan is being "arbitrarily detained in a modern-day hellhole", his lawyer says. PhD student Peter Biar Ajak, 35, a critic of his country's regime, has been detained without charge since his arrest at Juba Airport in July. His lawyer Jared Genser said this was "in clear violation of his rights under international law". With that headline, had to post but honestly, I hope he is freed and he is, one of those "Lost Boys", I'll have to find out more about him. South Sudan NOT Sudan... in this case, Sudan is Muslim, South Sudan is different, I don't know much beyond that. Not too Muslim so this could be tribal or something. Peter Biar Ajak is not an american. Maybe we need to come up with a hashtag, or something.